Various comics and short publications by Blake Peterson, from 2010 onwards. Existing as an online-only, ongoing ‘comic,’ What Blake Saw began in 2013 to present normal life in San Francisco. Comics have been distributed through the Grocery’s blog, various locations online, and in print. Published in Glasgow, Scotland in 2012, The Women That Shaped My Life is an autobiographical comic book. 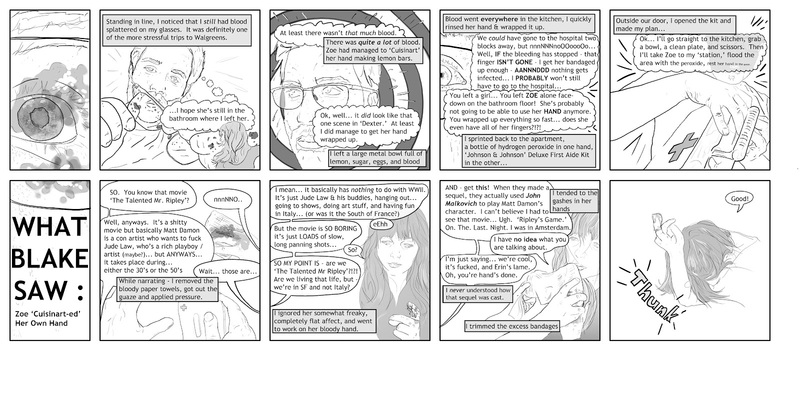 The comic features a series of key moments in my life, presented as a condensed, ‘newspaper-style’ comic strip. Issue one is essentially an anthology of strips presented in non-chronological order.